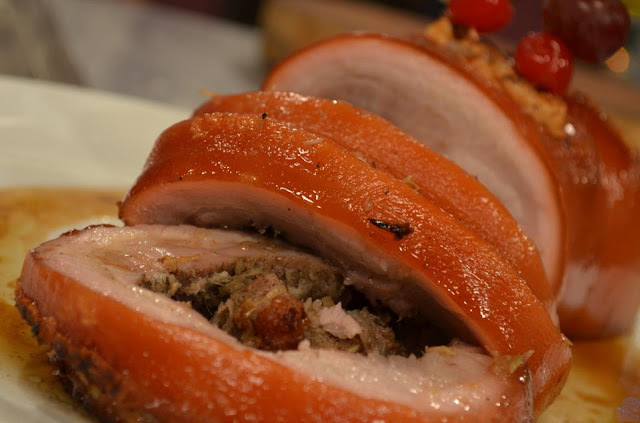 Be decadent this Christmas with Lechon Belly-cious! And the way Chef Boy presents it, it is guaranteed to evaporate faster than the church bells can stop ringing after the Christmas Eve midnight mass. Keep those hypertensive pills handy, just in case. 1. Season pork belly with salt and pepper. Rub the interior of the belly with puree of lemon grass, garlic and onion. Tighten with butcher’s string. 3. You may brush with oil fat every 10 minutes to the skin to become crunchy.